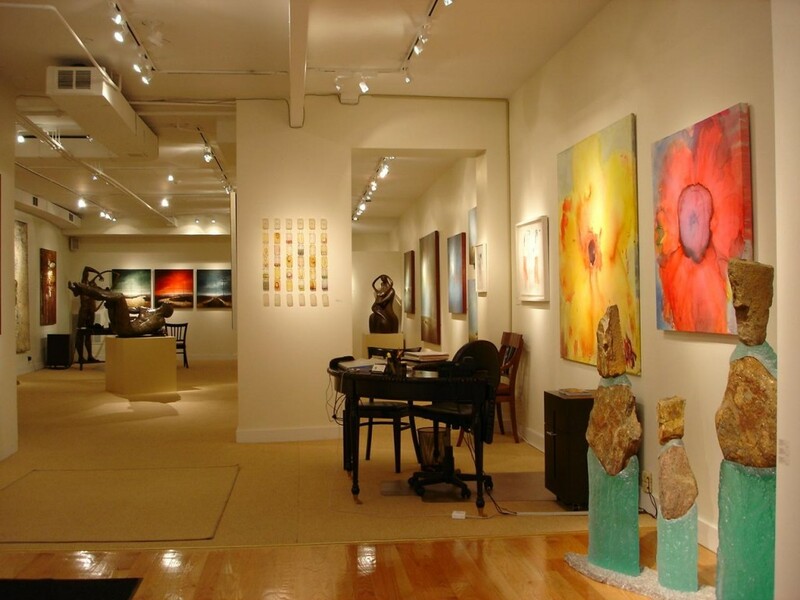 Low voltage track heads with high color rendering qualities are used for this fine art gallery. Only two types of beam spreads are utilized for accent and ambiance. These are placed strategically for highlighting and adding interest to the various pieces. The client’s maintenance and stocking of light sources is kept to a minimum. 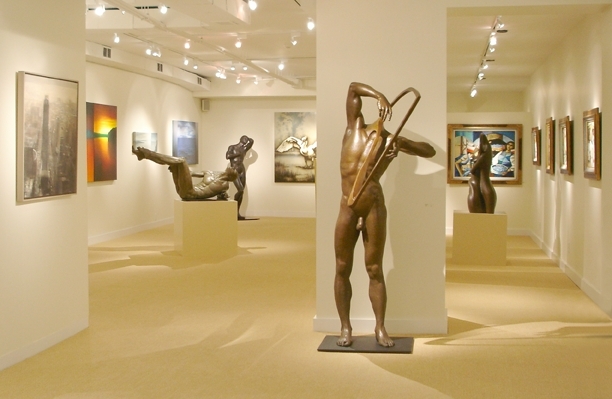 Lenses and accessories provide various intensity and focus for changing art shows. The effect is dramatic, crisp and clean for art work to be the focus.